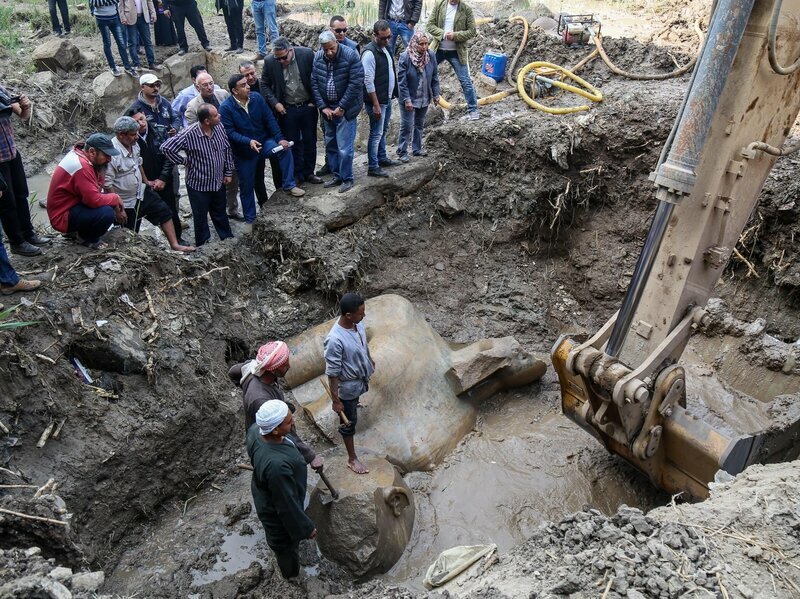 A joint German-Egyptian research team found the 8-meter (26-foot) quartzite statue beneath the water level in a Cairo slum and suggests that it depicts Ramses II, according to Reuters. Almost 50 years ago, archaeologists excavating an ancient city just outside of St. Louis discovered a mass burial site with an unusual central feature – two bodies arranged atop a bed of beads, with several other bodies encircling them. 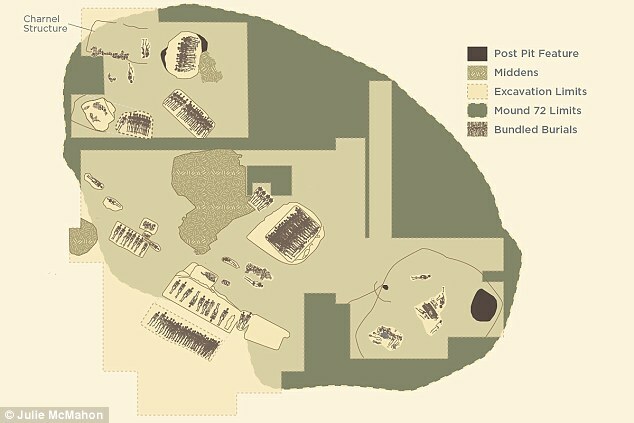 It was once thought that the elaborate ‘beaded burial’ structure at Cahokia was built as a monument to male power – but now, researchers suggest this is not the case. A new analysis of the remains reveals that one of these central bodies is actually female, and researchers say the discovery of similar male-female pairs and the remains of a child indicates that women played an important role in society. While earlier studies reported that there had been six bodies at the beaded burial, the researchers found there were actually 12, with one of the central figures being a woman. And, they found other similar pairs on top of and near the beaded area, with some laid out as fully articulated bodies, and others among bundles of bones gathered for burial. Along with this, the team found the remains of a child. In the new study, published to the journal American Antiquity, researchers with the Illinois State Archaeological Survey at the University of Illinois and colleagues found that there are both male and female remains buried at the site of the Native American city, Cahokia. 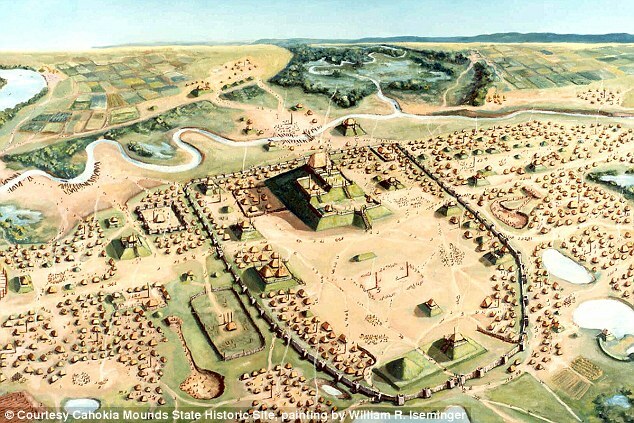 Cahokia is said to be North America’s first city, and is the largest pre-Columbian settlement north of Mexico. 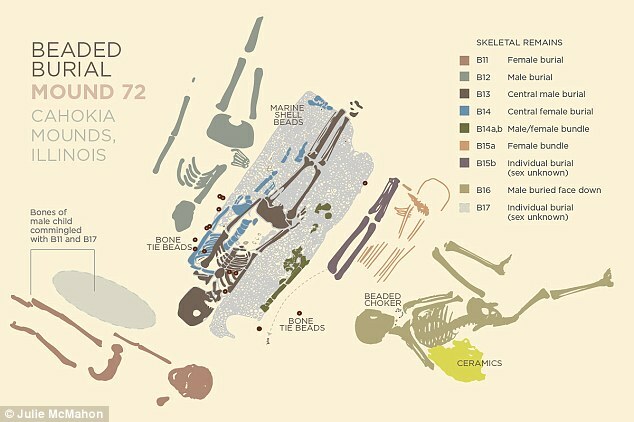 Now known as ‘Mound 72,’ the massive burial site discovered by archaeologist Melvin Fowler in 1967 contains 270 bodies, with five mass graves each containing at least 20 bodies, and some exceeding 50. Later analysis revealed that the burials occurred between the years 1000 and 1200 during the rise and peak of Cahokia. Some of the bodies were laid on cedar litters, suggesting these individuals were of high-status in their lives. ‘Mound 72 burials are some of the most significant burials ever excavated in North America from this time period,’ said ISAS director Thomas Emerson. It was thought that the beaded burial involved two high-status males, with their servants surrounding. And, the beads were thought to be the remains of a cape or blanket in the shape of a bird, which is associated with warriors and supernatural beings in some Native American traditions. In this structure, two bodies are arranged atop a bed of beads, with several other bodies encircling them. According to the new study, however, one of these central bodies is actually female. ‘One of the things that promoted the concept of the male warrior mythology was the bird image,’ Emerson said. Because of this, Cahokia was thought to be a ‘male-dominated hierarchy,’ the researcher explained. In the new study, the researchers analyzed early maps, notes, reports, and skeletal remains. ‘The fact that these high-status burials included women changes the meaning of the beaded burial feature,’ Emerson said. ‘Now, we realize, we don’t have a system in which males are these dominant figures and females are playing bit parts. 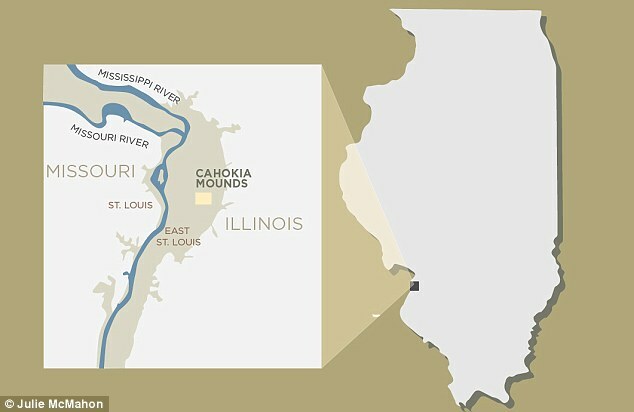 The researcher explains that these findings are more in line with other materials from Cahokia than the scenarios presented by earlier studies. ‘For me, having dug temples at Cahokia and analyzed a lot of that material, the symbolism is all about life renewal, fertility, agriculture,’ Emerson said. By focusing on warrior symbolism, Emerson explains that previous studies have misinterpreted the culture of Cahokia, and this time period. ‘When the Spanish and the French came into the southeast as early as the 1500s, they identified these kinds of societies in which both males and females have rank,’ says Emerson. The results were immediately intriguing (see this article I wrote in January for background) producing evidence of deeply buried man-made chambers and yielding carbon dates going back as far as 26,000 years. This was the last Ice Age when our ancestors are supposed (according to the orthodox archaeological model) to be have been nothing more than primitive hunter gatherers incapable of large-scale construction and engineering feats. 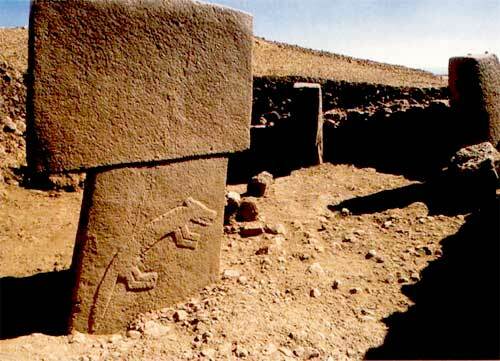 Was it possible that geologist Natawidjaja was unearthing the proof of a lost advanced civilization of prehistoric antiquity? Such ideas are heresy to mainstream archaeologists and sure enough the archaeological establishment in Indonesia banded together against Dr Natawidjaja and his team, lobbied the political authorities, agitated locally and succeeded in slowing down, though not completely stopping, the further exploration of Gunung Padang. For a flavor of the sour grapes the archaeological establishment feel towards Dr Natawidjaja and his team see this recent article from the Jakarta Post. The carved alabaster vessel (shown from two sides) found in the burial chamber caused the archaeologists to conclude the tomb was that of Lady K’abel. The tomb was revealed during digging at the ancient Maya city of El Perú-Waka’ in the rain forest of northern Guatemala. Alongside the body, excavators found a white jar shaped like a conch shell with the head and arm of a woman carved at the opening. The artifact had four hieroglyphs that suggest it belonged to K’abel. “Nothing is ever proven in archaeology because we’re working with circumstantial evidence. But in our case we have a carved stone alabaster jar that is named K’abel’s possession,” David Freidel, an archaeologist working on the site, explained in a video. Freidel, of Washington University in St. Louis, said the find is “as close to a smoking gun” as you get in archaeology. Ceramic vessels found in the burial chamber and carvings on a stela (stone slab) outside of it also indicate the tomb belongs to K’abel, as does a large red spiny oyster shell found on the lower torso of the remains, the researchers said. “Late Classic queens at Waka’, including K’abel, regularly wore such a shell as a girdle ornament in their stela portraits while kings did not,” the researchers wrote in a report on the finds. An examination of the remains indicated the buried person was a “mature individual,” the researchers wrote. But the bones were too deteriorated for scientists to determine whether they belonged to a male or female. 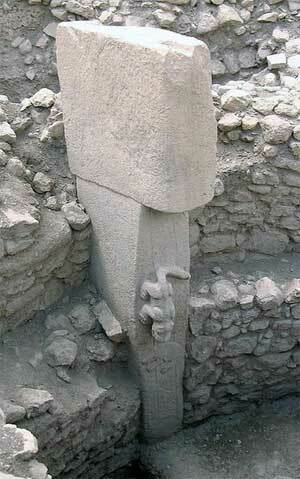 Excavations have been underway at El Perú-Waka’ since 2003. The K’abel find has not yet appeared in a peer-reviewed scientific journal. The landscape of the ancient world is dotted with fabulous structures that are breathtaking in their complexity. The Egyptians and Mayans had their pyramids and temples. The Hindus crafted elaborate temples throughout Asia. The Greeks built the Parthenon, and the Babylonians constructed the Jupiter Temple and the fabled Hanging Gardens. The Romans made their mark all over their world, with engineering geniuses guiding the construction of their famous roads, the Coliseum, and numerous temples and viaducts, while Roman sculptors guided their chisels over marble and alabaster, giving it physical presence and beauty. Going back yet further in time, a deeper mystery lies in the question of how the ancient Egyptian civilization could have flourished for three thousand years without improving the tools used to quarry and shape stone to near perfection. Since 1984, when Analog magazine published my article “Advanced Machining in Ancient Egypt?” controversy on this subject has persisted. The article proposed that the ancient Egyptians were more advanced than previously believed and that they used advanced tools and methods to cut granite, diorite, and other difficult-to-work stone. It does not seem credible that brilliant architects and engineers would continue to use stone tools and copper chisels for three millennia. The most stunning and convincing artifacts that clearly contradict theories about how hard igneous rock was quarried and worked in prehistory are the incredible granite and basalt boxes in the rock tunnels of the Serapeum at Saqqara. Within these mysterious tunnels that were carved out of the limestone bedrock are over 20 huge granite boxes. These 70 ton boxes with their 20 ton lids were quarried at Aswan over 500 miles away and installed in arched crypts recessed into the walls of the labyrinth of underground tunnels. All of the boxes were finished on the inside and the bottom side of the lid, but not all were finished on the outside. It appears that work stopped suddenly in the Serapeum, for there were boxes in several stages of completion: boxes with lids, boxes that had yet to have the lids placed on them, and the rough box and lid near the entrance. The floor of each crypt was several feet lower than the tunnel floor. Iron railings were installed to prevent visitors from falling. In 1995 I inspected the inside and outside surfaces of two boxes in the Serapeum with a 6-inch precision straight edge that was accurate to .0002 inch. In one of the crypts there is a granite box with a broken corner, and this box is accessible by means of steps down to the lower floor. The outside of the box appears to be roughly finished, but the glint of a high polish on the inside surfaces beckoned me to climb inside. Running my hand along the surface of the granite reminded me of the thousands of times I have run my hand along a granite surface plate when I was working as a machinist and later as a tool and die maker. The feel of the stone was no different, though I was not sure of its flatness or accuracy. To check my impression, I placed the edge of my precision-ground parallel against the surface—and I saw that it was dead flat. There was no light showing through the interface of the steel and the stone, as there would be if the surface was concave, and the steel did not rock back and forth, as it would if the surface was convex. To put it mildly, I was astounded. I did not expect to find such exactitude, because this order of precision is not necessary for the sarcophagus of a bull—or any other animal or human. I slid the parallel along the surface both horizontally and vertically, and there was no deviation from a true, flat surface. The flatness was similar to precision-ground surface plates that are used in manufacturing for the verification of exactly machined parts for tools, gauges, and myriad other products that require extremely accurate surfaces and dimensions. Those familiar with such products and the relationship between gauges and surface plates know that the gauge may show that the stone is flat within the tolerance of the gauge—in this case 0.0002 inch (0.00508 millimeter) flatness. If the gauge is moved 6 inches along the stone surface, however, and the same conditions are found, it cannot be claimed with certainty that the stone is within the same tolerance over 12 inches—unless the plate has been inspected by another means and is calibrated to a known standard. Nonetheless, moving the steel edge along the granite provided enough information for me to conclude that I needed a longer straight edge—and, preferably, even more sophisticated alignment equipment—to determine the accuracy of the inside surfaces of the box. I was also impressed to find that each corner of the box had a small radius that ran from the top of the box to the bottom, where it blended with the corner radius of the floor of the box. The artifacts I have measured in Egypt have the marks of careful and remarkable manufacturing methods. They are unmistakable and irrefutable in their precision but origin or intent will always be open to speculation. The following series of photographs were taken inside the Serapeum on August 27, 2001. Those taken of me inside one of these huge boxes show me inspecting the squareness between a 27 ton lid and the inside surface of the granite box on which it sits. The precision square I used was calibrated to .00005 inch (that is 5/100,000 of an inch) using a Jones & Lamson comparitor. The underside of the lid and the inside wall of the box I found to be square, and finding that the squareness was achieved not just on one side of the box but both, raises the level of difficulty in accomplishing this feat. The flat surfaces of the inside of the boxes exhibited a high degree of accuracy that is comparable to surfaces found on surface plates in modern manufacturing facilities. Finding such precision from any epoch in human history leads one to conclude that a sophisticated system of precise measure must have been in existence. This is an area of intense interest to engineers—such as myself—who find in Egypt a language with which we are familiar. This is the language of science, engineering, and manufacturing. Our counterparts in that ancient land left future generations of scientists, engineers, architects, and those who take their instructions and shape materials to their specifications, with a difficult challenge. This challenge is to recognize what they created and provide evidence-based, reasonable answers that give the ancient engineers credit for what they achieved. The ancient Egyptians who built the pyramids and temples, who crafted monumental statues out of igneous rock, were thinking with the minds of architects, engineers, and craftspeople. 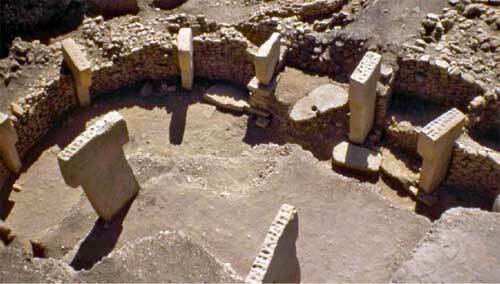 Were ancient archaeologists responsible for the legacy they left us? Without the advice of modern Egyptian architects, engineers, and craftspeople, are today’s Egyptian archaeologists missing something? Are modern interpretations of the awesome feats of the ancient Egyptians irrelevant in providing new and powerful information about this ancient culture? Are the thoughts and conclusions of Western writers and travelers who stood in front of the Great Pyramid one hundred years ago (or some forty-five hundred years after it was built) more intrinsically linked to the ancient Egyptian mind than those who come after them, a century or more later? What can be described as a “modern perspective?” In his time, Herodotus would surely have been considered modern. So were Egyptophiles Petrie, Marriette, Champollion, and Howard Carter—each in possession of a modern mind that was clothed in a fabric of prejudices and stereotypes that existed within their own culture. When it comes to completely understanding the ancient Egyptians’ level of technological prowess, there can be no final conclusion. What is left to study today is a mere skeleton of what existed at the time of the ancient Egyptians. This skeleton survives as highly sophisticated and precisely crafted sedimentary and igneous rock. It is my belief that the clothes we have placed on this skeleton are mere rags compared to what should be there. I have proposed in the past that higher levels of technology were used by the ancient Egyptians, but for the sake of argument, I have rejected some ideas and cast doubt on my previous assertions as to the level of technology they enjoyed. At the same time, I cast doubt on the methods of manufacture that Egyptologists have asserted were used to build the pyramids and the glorious temples in Egypt. These methods are primitive and include stone and wooden mallets; copper chisels; tube drills and saws; and stone hammers for quarrying, dressing, and sculpting hard igneous rock. Having knowledge of the incredible precision in the boxes in the Serapeum, we should be reminded of the work of Sir William Flinders Petrie, who measured and recorded for prosperity the marvelous layout of the Giza Plateau, and particularly the accuracy and true alignment of many of the features found in the Great Pyramid. His measurements discovered that the casing stone were cut within .010 inch and the constructed portion of the Descending Passage was accurate to within the thickness of a thumbnail (.020 inch) over a length of 150 feet. To understand how the ancient Egyptians created these testaments to manufacturing prowess, we need to rely on an examination by scientists and engineers. They would take measurements with modern tools and analyze the full scope of the work and compare them with our own capabilities. The full scope of the work includes the most difficult aspects of the work, which are ignored by Egyptologists when they attempt to explain how the ancient Egyptians created their monuments. For instance, dragging a 25 ton block of granite over wooden rollers, with great difficulty, does not explain how a 500 ton obelisk or monolithic statues weighing 1000 tons were moved by prehistoric people. 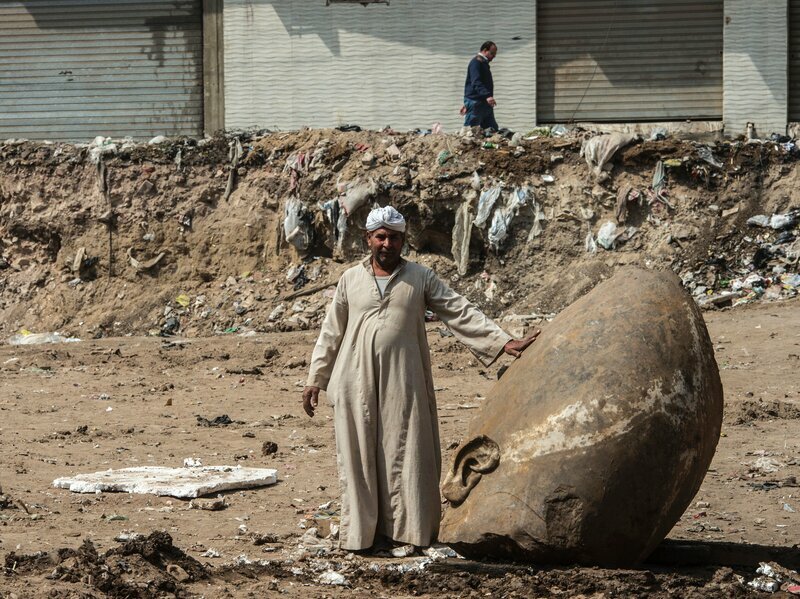 Bashing out a few cubic centimeters of granite with a dolerite ball does not explain how thousands of tons of granite were extracted from the bedrock and shaped with extreme precision and displayed as monumental pieces of art in the temples of Upper Egypt. To know the true majesty and capability of the ancient Egyptians, one only has to know and appreciate the full extent of their work. The reason for Stonehenge’s construction is unknown. 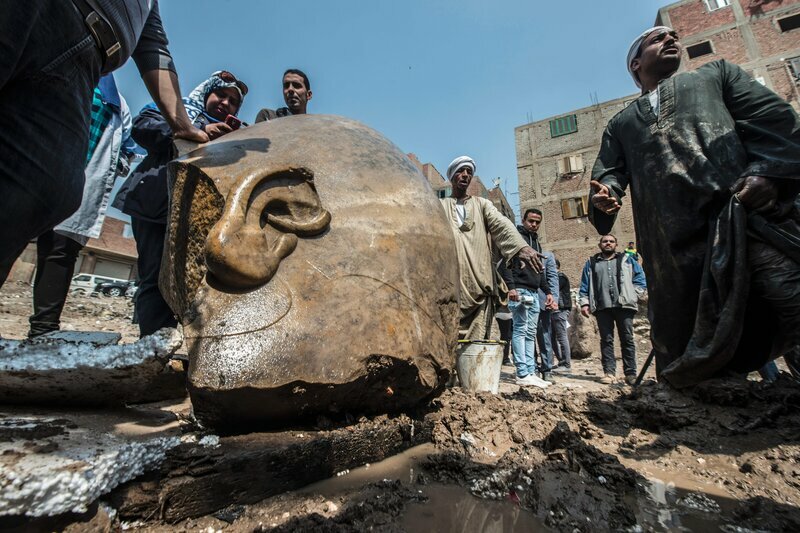 During the monument’s construction around 3000 B.C. to 2500 B.C., Britain’s Neolithic people were becoming increasingly unified, said study leader Mike Parker Pearson of the University of Sheffield. “Stonehenge itself was a massive undertaking, requiring the labor of thousands to move stones from as far away as west Wales, shaping them and erecting them. Just the work itself, requiring everything literally to pull together, would have been an act of unification,” he said. The new theory, detailed in a new book by Parker Pearson, “Stonehenge: Exploring the Greatest Stone Age Mystery” (Simon & Schuster, 2012), is one of many hypotheses about the mysterious monument. Theories range from completely far-fetched (space aliens or the wizard Merlin built it!) to far more evidence-based (the monument may have been an astronomical calendar, a burial site, or both). 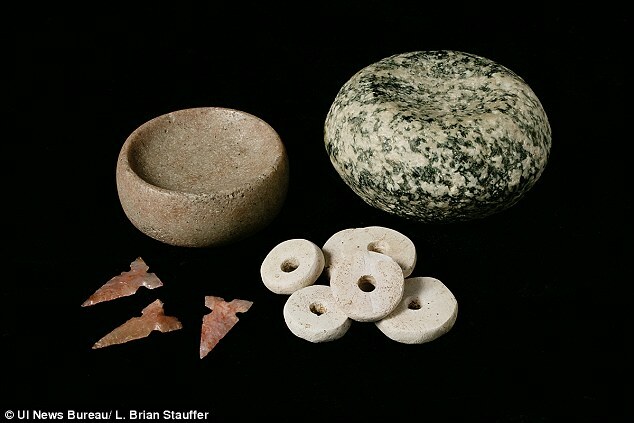 What they found was evidence of a civilization transitioning from regionalism to a more integrated culture. Nevertheless, Britain’s Stone Age people were isolated from the rest of Europe and didn’t interact with anyone across the English Channel, Parker Pearson said. “Stonehenge appears to have been the last gasp of this Stone Age culture, which was isolated from Europe and from the new technologies of metal tools and the wheel,” Parker Pearson said. Stonehenge’s site may have been chosen because it was already significant to Stone-Age Britons, the researchers suggest. The natural land undulations at the site seem to form a line between the place where the sun rises on the summer solstice and where it sets in midwinter, they found. Neolithic people may have seen this as more than a coincidence, Parker Pearson said. Archaeologists have built some theories on firmer ground. Stonehenge’s astronomical alignments suggest that it may have been a place for sun worship, or an ancient calendar. A nearby ancient settlement, Durrington Walls, shows evidence of more pork consumption during the midwinter, suggesting that perhaps ancient people made pilgrimages to Stonehenge for the winter solstice, Parker Pearson and his colleagues have found. Stonehenge may have also been a burial ground, or a place of healing. 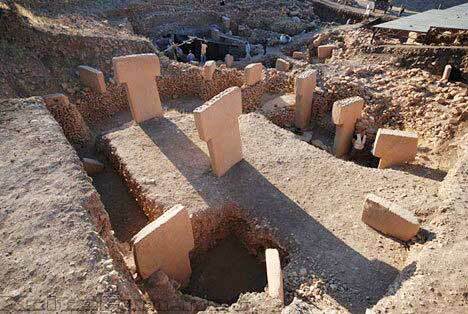 Tombs and burials surround the site, and some skeletons found nearby hail from distant lands. For example, archaeologists reported in 2010 that they’d found the skeleton of a teenage boy wearing an amber necklace near Stonehenge. The boy died around 1550 B.C. An analysis of his teeth suggest he came from the Mediterranean. It’s possible that ill or wounded people traveled to Stonehenge in search of healing, some archaeologists believe. Other researchers have focused on the sounds of Stonehenge. The place seems to have “lecture-hall” acoustics, according to research released in May. One archaeologist even suggests that the setup of the stones was inspired by an acoustical effect in which two sounds from different sources seem to cancel each other out. A newly discovered stele from Mes Aynak, in Afghanistan, reveals a depiction of a prince and monk. The prince is likely the founder of Buddhism. 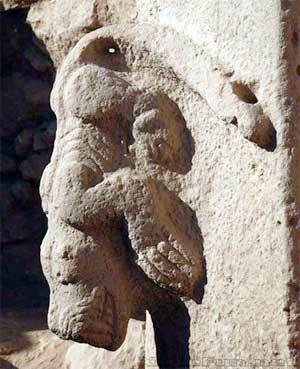 In the ruins of a Buddhist monastery in Afghanistan, archaeologists have uncovered a stone statue that seems to depict the prince Siddhartha before he founded Buddhism. The stone statue, or stele, was discovered at the Mes Aynak site in a ruined monastery in 2010, but it wasn’t until now that it was analyzed and described. Gérard Fussman, a professor at the Collège de France in Paris, details his study in “The Early Iconography of Avalokitesvara” (Collège de France, 2012). Mes Aynak is located about 25 miles (40 km) east of Kabul and contains an ancient Buddhist monastic complex. The monk stands at the prince’s right side, his right forearm shown upright. In his right hand the monk holds a lotus flower or palm (now broken), and in his left is a round object of some kind. Based on the iconography of the stele, particularly the pipal leaves, Fussman believes the prince is Gautama Siddhartha Sakyamuni, who is said to have achieved enlightenment, become a Buddha — someone of divine wisdom and virtue — and founded the religion of Buddhism. This stele shows him at an early moment in his life, when he has yet to start his fateful journey of enlightenment. According to the story, Siddhartha’s father wanted him to follow a worldly path and tried to keep his son cloistered in a palace. He grew disenchanted with palace life and left, becoming a poor ascetic. Fussman said that this stele supports the idea that there was a monastic cult, in antiquity, dedicated to Siddhartha’s pre-enlightenment life. 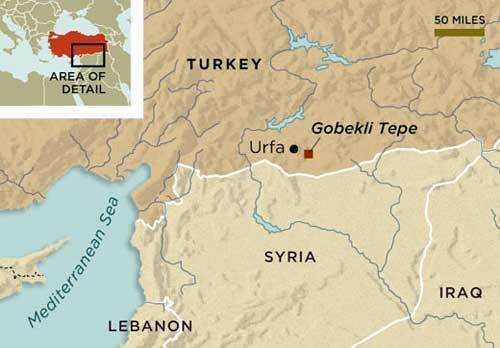 This idea was first proposed in a 2005 article inthe journalEast and West by UCLA professor Gregory Schopen. Schopen found evidence for the cult when studying the Tibetan version of the monastic code, Mulasarvastivada vinaya. One section of the code authorizes carrying the image of Siddhartha (referred to as a Bodhisattva) on a wagon. Excavations continue at the Mes Aynak site as scientists explore the complex in an effort to save the artifacts before the area is disturbed by copper mining. 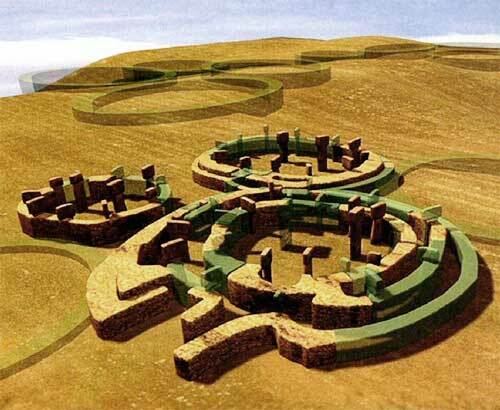 No one knows why ancient people built Stonehenge. The stone slabs of England’s Stonehenge may have been more than just a spectacular sight to the ancient people who built the structure; they likely created an acoustic environment unlike anything they normally experienced, new research hints. About one second of reverberation is “just enough for us to start becoming aware of it,” he said. “What we found in Maryhill as a model for Stonehenge was you could almost stand behind a stone and keep talking with a good level of voice, and people would be able to hear you somewhere else,” he said.